What do chocolate, writing, and online ticket sales have in common? Not that much, but they do have one thing in common, and any time I can bring chocolate into an article, I know I am pleasing at least half my readers. It was those 100-calorie chocolate bars, like 100-calorie Kit Kats, that got me thinking about how less can actually be more. Usually companies brag about how they offer more for your money. More flavor. More time. More distance. More value. Always more, more, more. You will never hear a company offering you less. These chocolate bars are selling you less, and betting that you will find that an attractive proposition. Let’s face it, there is no logical reason to buy smaller chocolate bars. If you want to eat only 100 calories, you can just eat half of a 200-calorie chocolate bar, right? Or a third of a 300-calorie chocolate bar, right? Yeah, right! Logic has nothing to do with it. Most people will just keep eating until the bar is gone, even though 90 percent of the pleasure is only in the first bite. And so we find that chocolate makers promise us less in their bid for our money. And we buy it. There are ticket-sales websites that charge a “booking and handling fee” for you to fill your own order online, so we get to pay more for them to do less work. They charge “delivery fees” for them to email the ticket to you instead of delivering it, so we get to pay more for them to do less work. Or you could pay a “convenience fee” to pick the ticket up at the box office, which costs them no extra work than if you just bought it there in the first place. How about the “printing fees” for tickets you print yourself? Oh joy, we get to pay more for them to do less work. And yet, we buy it. I don’t bring forward these ticketing examples so that you can go out and fleece your customers in this manner, but to show how widespread the less-is-more approach had become in marketing. I consider the ticket sales example to be Orwellian in their approach. But there is nothing nefarious about the chocolate example, which is clever, customer-focused marketing. In writing, as in chocolate, less sometimes is more. This is most obvious when you have limited space to say everything you want to say on a three-panel folded brochure. It is less obvious on a web page that can scroll forever. But your readers won’t want to scroll forever. After a few hours they’ll start to get hungry. That will make them grumpy. And grumpy customers won’t buy from you. Writing concisely can sometimes be a challenging art. Most people tend to ramble when they write. You may have heard the old adage, “The more you tell, the more you sell.” And that is true to an extent. But using more words is not the same as telling them more. Telling them more means giving them more reasons why they should want your product. And that applies even when the product is less. That 100-calorie Kit Kat bar? It won’t make you fat. It has a more delicate flavor. It melts easier in your mouth. It strengthens your will power. It makes less of a mess at your desk or on the bus. Just enough sugar to wake you up; not enough sugar to make you sluggish. There is so much to tell about it, even if it is so little. And look how much I told in a simple paragraph. That’s how your business writing should be: concise and to the point. Sure, make it chatting and personable, if you like. 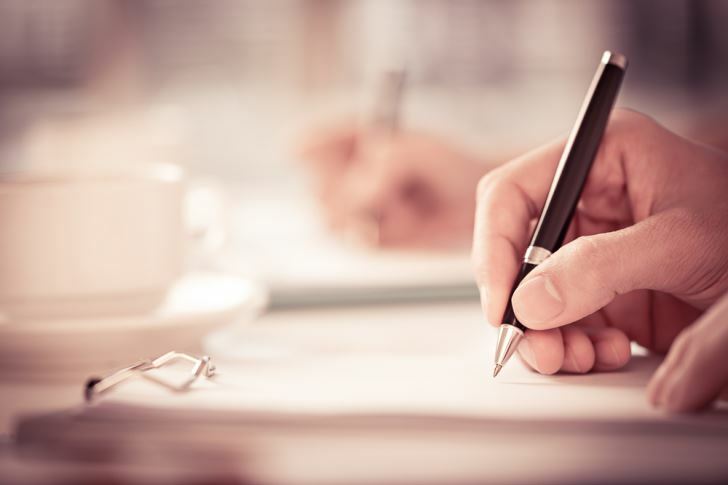 Business writing doesn’t have to sound formal. But there is no need to throw in a whole lot of extra words. Offer less, but they get more. Not more words, but more value – like the 100-calorie Kit Kat bars.